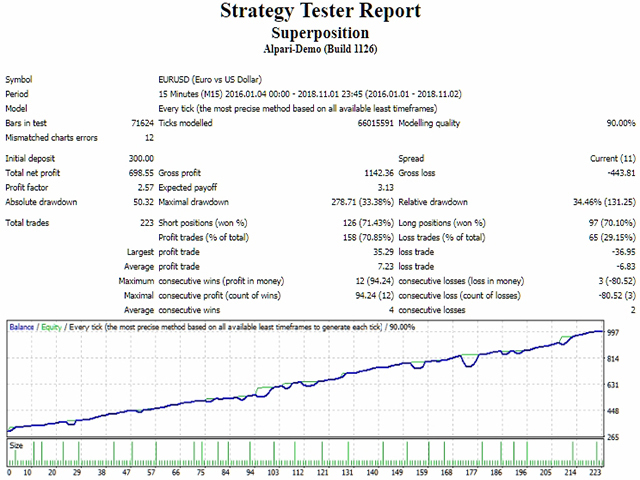 Advisor is designed on the principle of "Superposition" - building positions. The main task was to create a robot that does not use scalping, does not require a large initial deposit and have the ability to adapt to market conditions. The expert uses author's adaptive algorithms for increasing the number of open positions. Applies dynamic levels for setting stop orders, stop loss, take profit, trailing stop and breakeven when the price is rolled back, invisible for the broker. 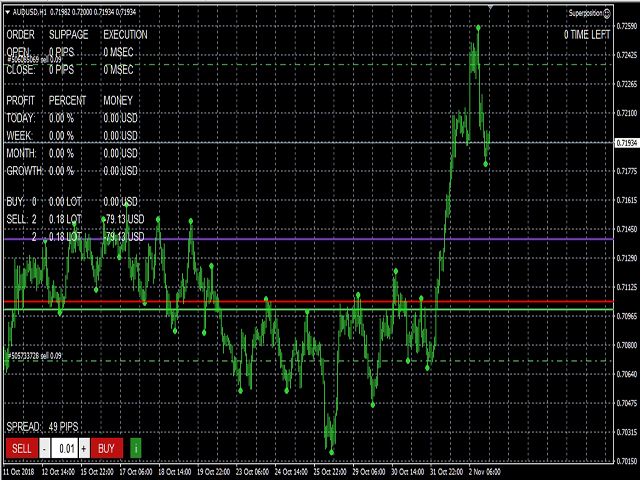 The entry into the market is carried out on the breakdown of support / resistance levels. But, the expert can also be used in semi-automatic mode, manually open the position using the panel on the chart or the lines applied manually, and provide the position support for the expert. In order for the adviser to open a position along the line: draw a line on the chart and rename it. When crossing its price, the adviser will execute the appropriate command. After the command is executed, the "OK" comment is written, the line processes the command only once. The graph displays information about the profit, current open positions (number of orders, number of lots and profit), buttons for opening orders, speed of execution and slippage. When you click on the "i" button, a visual display of the transaction history is displayed.